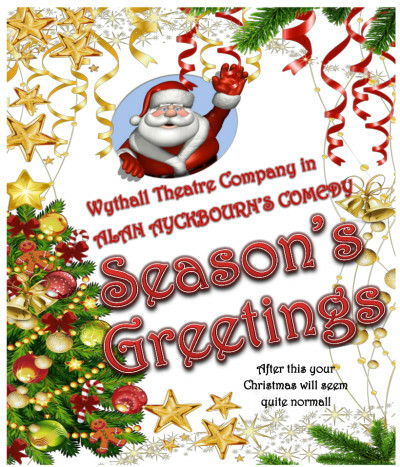 Alan Ayckbourn’s masterly Season’s Greetings offers a seriously entertaining look at the misery and high jinks of an average family Christmas. Belinda endures a stale relationship with Neville – he being always too busy fiddling with anything mechanical out in his shed – so she resorts to flapping about the house and constantly dressing the Christmas tree. They have invited their family for the traditional Christmas celebration. Presiding over the festivities are two warring uncles, one a kindly, incompetent doctor with an interminable puppet show to perform; the other a bullying retired security guard who dominates the TV, brings toy guns for his nieces and determines there’s a thief in their midst. Cheating at snakes and ladders, fighting over comic books, a bungled infidelity beneath the tree. Christmas has arrived in the Bunker household along with family and friends. But as the children lurk just out of sight, it’s the adults who are letting the side down. All the ingredients are present for a season of not-so-goodwill! Tickets Tues Eve all seats £10.00* Wed- Fri Eves £12.00*.